« Can The Giants Change to a 3-4? Bill Sheridan Expected to Be Fired: Talking Points Giants-Vikings game. Thsi is the last installment of talking points I’ll be doing this year. So let’s get to the good from the game before we get to the bad. Bill Sheridan is expected to be fired . I saw this on the bottom line of ESPN which said the Daily News reported he was being fired. I’ve begun to wonder whether or not Coughlin should be fired. I’ve always thought Coughlin was a good coach and still think he is, but the way his team gave up on him (I won’t believe they were trying last night on offense or defense), I’ve wondered if he’s run his course. Now the good thing about firing Couhglin this season would be that Bill Cowher would be available as a replacement. There might not be a coach (and probably won’t be) of that high quality when Coughlin’s contract runs out in two years. And I wasn’t a fan of firing Couhglin even a week or two ago, but this is WAYYYY Too many embarassing performances. 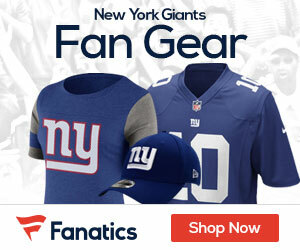 The New York Giants will draft 15th this year. And if the Dang Broncos would have won the Giants would have been even higher. I’ll do more on this later too, but had the Giants won they probably would have picked 19th or 20th. Consider the last time the Giants picked 20th or lower was 2007 (pretty good draft class). This past year the Texans were able to draft Brian Cushin 15th overall. Four or five picks doesn’t seem like much, but it certainley can be especially based on positional value. The Giants may have a realistic chance of landing a player like CB Joe Haden or another high ranked secondary member at 15th that they may not have been able to at 20th. Or super talented, and young Defensive Tackle Brian Price out of U.C.L.A to replace Robbins and possibly Coefield who are both free agents. Or a big time Offensive Tackle like Rutgers Anthony Davis. We’ll have plenty of off-season and draft coverage for you and becuase I’m personally a draft-junkie possibly too much so stay tuned. Dallas beat philly, meaning one of them HAS to lose next week. Nothign would be worse than seeing those two teams playing each other in the N.F.C. championship game, and now we’re asured that we won’t. Eli Manning reached 4,000 yards. Good for him. Although I don’t think anyone on the offensive line was trying yesterday, which is unfortuante becuase Eli only needed less than a 100 more yards to become the franchise leader in passing yards. But it didn’t look like anyone was thinking about blocking or getting open or anything like that. Steve Smith ended the season second in catches with a 107. Behind only Wes Welker. He had a great year. Ramses Barden recorded his first career reception. Hopefully one of many more to come, especially in the Red-Zone. Travis Beckum can catch the ball . I know he wasn’t used that much this year, but every time he gets thrown the ball he catches it. I saw at least one scouting report last year before the draft that compared Beckum to TE Owen Daniels. That’d be a remarkable find if so. No more injuries this season. No one else can get hurt this year, and hopefully next year the Giants can’t possibly have this many injuries. The Giants were the Third WORST Defense in the league. Embarassing I know, but true. It’s amazing that the Giants even won 8 games this season, they gave up more points than everyone but three teams. If they had a competent defense they probably would have won 12 games. Another game no Sacks. And Another game the offensive line looked like it had sprung a leak in it. Heavy changes will probably be made there next year. Effort, and production was terrible, disgraceful, disgusting, vile or any other adjective you want to use that describes something very bad happening. That bad is very easy to sum up. No one played well on defense. No one tackles, no one covered, no one did anything. And penalties must be played. It’ll be interesting to see who leaves if this is an uncapped year EVERYONE can be released without penalty hit. Teams would have to eat the signing bonuses, but those are already long-gone anyway. There may be a lot of quality players on the free agent market this year with all of the releases. Good stuff! Thanks! Mercifully our Giants season has come to an end. Sheridan has to go — whatever was wrong with him back in camp that prompted Osi to walk out evidently didn’t change much, in spite of assurances to the contrary. He was probably happy being a mediocre LB coach, interviewing for the vacated DC job along with all the other position coaches, and now wishes he wasn’t selected. Actually, he probably knew it was a bad move up when he couldn’t go up in the booth as he wanted. The D was horrendous this season, so maybe Coughlin and JR will take that into account when they consider Sheridan’s replacement… as in if you weren’t able to create a powerful, motivated squad on D, then maybe you likewise won’t create a powerful, motivated D if promoted to DC. Note to JR and Coughlin: Look at position coaches with teams renowned for persistently and consistently fielding great Ds. Who are some quality vets that are expected to be cut from their current teams? I can’t believe I’m saying this but it’s time for TC to go. He’s lost this team. Would love to see him do the honorable thing and resign. Bring in Cowher and some fresh voices as assistants. Draft Haden and move Thomas or Ross to safety. Cut McKenzie, sign a stud RT, move Diehl inside to G and slot Beatty at the LT. Incorporate Beckum and Barden into the O game plan. We need a new MLB. Time has passed Pierce by and I don’t think Goff will be anything better than a really good back up. Beason would be a great fit if available. Let Clark go and start Sintim in his place. Cut Bernard and Robbins, get a healthy Alford back and draft a DT in the top 3 rounds to beef up the middle. its not Coughlin’s fault… thats like blaming Steve Jobs when your Macbooks’s monitor stops coming on. the guys under him such as his coordinators needed to be firestarters… they werent. Bill Sheridan in particular was removed from his defense from day 1. Osi said right in the beginning his style was much different than Spags… obviously this Giants defense was in need of more hands on and in your face encouragement. Sheridan didn’t cut it. When Coughlin PERSONALLY becomes your waterboy on gameday so that you know what your participation means to the big gun — that’s going over and above the call of duty to fire up your team. Sheridan wanted to hide out in the eagle’s nest. Feel free to head on out of here, anytime, Bill. Thanks for the bitter memories. Andrew- I’m with you up to a point. I’m a long time TC supporter and agree that he did try to jump in nd went “above and beyond” toward the end. But…. (1) why did he have to do that? Because his hire for DC was a huge failure and he needs to be accountable for that and (2) when he did play a more active role, it didn’t work. The players didn’t respond to him. To use your analogy, if Apple had a year where their Macbook monitors failed miserably and company performance was well short of shareholder expectation, would Jobs be held accountable? I think the answer would be yes. Again, I like TC and didn’t think he should go until this last game. I appreciate all he’s done but I simply don’t have the confidence that he’s the guy to pick the right co ordinators and to motivate the players to lead this turn around. TC got involved before the Dallas game by interupting a players only meeting for the first time EVER, he got them all fired up — it obviously worked. TC obviously saw there was a lack of leadership there from his underlings (Sheridan) and felt that kind of message needed to be sent. Spags had a different way about him, and that extra energy passed to the players from the coordinator was clearly missing from the team. to the apple analogy — that has happened before with performance and Jobs stepped in and make the executive decision to persue new ways to get a better product out there…. thats the role. and thats what TC and JR need to do here, make some tough evaluations about the trajectory of the team and adjust the components to be much much better going forward, starting now. ramses barden looked good on his reception — pulled in a high pass in stride. you know he’s a lot bulkier than i thought he was, more a la Nicks than Manningham. the Giants receiving aspects should only get better next year between Nicks, Smith, Manningham, Barden — and then whoever else sticks around. on draft picks — I know Bartolis you are a draft FIEND so let me know what you think about this…. would it behoove the Gaints to perhaps trade their 15th overall pick and go later on and get a couple studly Offensive Lineman / Fullback type of guys to sure up blocking. typically the sexier players go first, the Giants don’t need that kind of appeal in a player, they need guys who can block and learn their role. thoughts on trading their first pick for more bang for the buck? Coughlin needs to go!! The players quit on him. Would that happen in New England? I don’t think so. If he does not go now, the Giants will have 2 more mediocre years at best. It depends on what area the Giants are targeting. I’m a fan of drafting Best Player Available regardless of position, and while it’s true that many later round draft picks excel in the league, it’s also true that more first round picks play at higher levels than lower round draft picks. If the Giants are looking for secondary help…later rounds are fine. Running backs are easy to find in later rounds as are linebackers. like trading a few times to get high selections. It is Coughlin’s fault. He hired Sheridan. He is responsible for his coaches performances. We need someone who can evaluate talent, not only of players but of coordinators too. Coughlin built this team into a superbowl winner by being a nasty hard-assed coach who didn’t care who hated him, as long as they did their job. He started losing this team when he started trying to be chummy chummy with the players. I don’t advocate getting rid of TC. Just want him to go back to being who he was when he first came aboard.